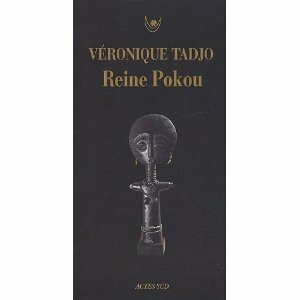 I had the opportunity to read Véronique Tadjo’s novel Reine Pokou because of the Francophone African literature class I’m teaching this semester. I wanted to find a book that let us take a look at some of the issues that arise in women’s narrative in Africa, but some of my students had already studied the marvelous So Long a Letter, a book I frequently teach in other classes. Tadjo’s book won the 2005 Grand Prize in Literature for Black Africa, and although it’s short — only about 90 pages long — it’s as powerful as a tiny vaccine, something that enters your mind and body and changes you completely. Queen Abraha Pokou was a real person, queen of the Ashanti in the Ghana Empire in the mid-18th century. Tadjo opens the book by telling her story: her freedom and intelligence, her sharp-eyed childhood, the way she learns about power by being near the throne, her adolescence, her years of painful infertility with one mate after another. Finally, late in her womanhood, she falls in love, passionately, like a girl, and it’s with this husband she conceives a beloved son. Unfortunately, this son is born into conflict. Pokou’s brother and uncle are caught in bitter, internecine war, and Pokou must escape with those of her people she can take with her. But the uncle gives chase, wanting to kill Pokou’s son, who is heir to the throne. The people face a huge, rushing river they cannot cross. The gods demand a sacrifice: gold is not enough; only human blood will pay. And so Queen Pokou casts her cherished little boy into the waters, to save her people. The people cross over in safety — filing into the new land on the backs of hippopotomuses — but once on the other side, the queen is inconsolable. “Ba-ou-li,” she repeats, which means, “The child is dead.” And so, to this very day, her people is called the Baoulé, in honor of her sacrifice. But this is only the beginning of Tadjo’s work. Why must male violence and female sacrifice be at the bottom of every story of origin, she asks? So in each following chapter, she rewrites and reworks Pokou’s story, making it different, shaping it to show us what might have happened if things had been otherwise. In one re-imagining, Pokou casts the child into the water, but is so agonized at her choice that she plunges in after him, becoming a mermaid, and mother and child, reunited, reign over their watery kingdom. In another, the queen refuses to give up her boy, and turns to fight her uncle: catastrophe results for the entire people, including the child. Another presents Pokou as power-hungry and ambitious, willing to sacrifice her son in order to be a stronger queen without encumbrances. The child was soft. His vertebral column had disappeared. His translucent skin allowed a reddish, fluorescent vein system to show through. His eyes were a milky white, his hands and feet webbed. He would no longer grow, no longer leave this watery universe. He didn’t want to dry in the open air, become hard, bony, wicked. Lose the freshness of his innocence. The fire of the sun and of men was much too intense…. The child had been snatched up by an invisible destiny. Messenger from beyond, he traveled between two worlds. The story of Reine Pokou has echoes of Moses parting the waters for his people, of Abraham sacrificing Isaac. But Tadjo asks: who are these gods, who ask so much? Why must the child die? Why must the woman rip the child from her arms, give up everything she loves, in order to be a good leader? What are the consequences of colonialism, just beginning in those early 18th-century days? This book, trying on one question for size and then another, creating many myths out of the first, was curiously beautiful, strange and strong. Unfortunately, I don’t think it’s available in English (the translations above are my own), but if you read French, this is a jewel in the palm of the hand. This sounds wonderful and like a good opportunity to practice my French. Hmm. It really was a great reading experience. If you read French, I highly recommend it! I’m so sorry to hear that this isn’t available in English. I do read French, if I put myself to the task and everything.. I’d consider doing just that to read this. It sounds like a really interesting book. It was fascinating. I love myth and appropriation of myth — it’s my main subject of research — so this really appealed to me for a lot of reasons, but it’s just beautiful no matter what you usually read. 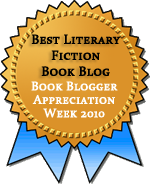 Several other Tadjo novels are in English, but not this one. Very interesting. I’ve only read one of her other novels. This one is deeper than the other one I read, and more interesting (to me, anyway.) Too bad it’s not in translation yet, but since it won a prize, perhaps it soon will be. I, too, have only a rudimentary ability to read in French, but this sounds like one to try at some point. Am adding to my want-to-read list shortly. Thanks for bringing it to light. Sara, thanks for stopping by! I’m glad you thought this one sounded interesting. It’s really good. I’m just catching up with your back posts, Jenny, and this one goes on my France wish list for sure! I love the idea of the versioning you mention, the parallel takes on a similar scenario. Thanks for the tip! It is in English, actually. I’m reading it for a class and I came to your website by accident trying see the book from someone else’s eyes. It’s translated by Amy Baram Reid. It was first published last year (2009) in England by Ayebia Clark Publishing Limited. Here is their website if you would like more information: http://www.ayebia.co.uk. Happy reading to those who haven’t read it yet.